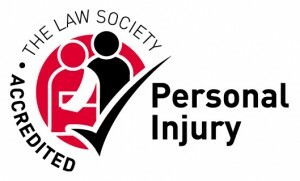 If you feel that you have been subjected to unnecessary or excessive surgery for your injury or illness, then you may be entitled to claim compensation. Revelations have led to the conviction of consultant surgeon Ian Paterson following him carrying out, as reported “extensive life-changing operations for no medically justifiable reason” to NHS and privately paying patients. Mr Paterson was convicted on 17 counts of wounding with intent but is now known to have carried out hundreds of unnecessary procedures on both men and women over a 34-year period while undertaking NHS work for the Heart of England Trust and working at Little Aston and Parkway private hospitals. The procedures he carried out were, in part, described as ‘unorthodox and unregulated’. In particular, the continued performance of ‘cleavage sparing’ mastectomies, long after the procedure was discredited has led to former patients being required to undergo further surgery to remove reaming, and potentially at risk breast tissue. Further concerns have been raised over the possibility that Mr Paterson may have carried out unnecessary surgery at The Spire Hospital to include the removal of apparent pre-cancerous lumps when a simple biopsy would have shown them to be benign, making operations pointless yet painful. Although patients would normally have given consent for their procedure, the fact that the operation was not required negates this consent, and victims should be able to bring claims for the assault and injury caused by any unnecessary surgery. “Regardless of the motivation of the surgeon concerned, if the surgery is not required they should be brought to account. Claims such as this are complex and require expert attention to detail and the law. We have the experience and knowledge to ensure that your claim is dealt with in the way you would wish, and that you receive the compensation you deserve. If you think you have undergone unnecessary or excessive surgery either at the hands of Mr Paterson or elsewhere, then please contact us today to discuss the matter further.